An Assistant Inspector General of Police, Mr Abubakar Adamu Mohammed has emerged as the new Inspector General of Police of the Nigerian Police Force. 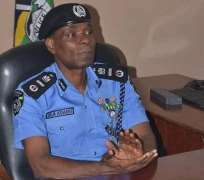 The new IGP appointed by President Muhammadu Buhari would take over from Mr Ibrahim Idris who will retire from the force tomorrow, January 15. All attempt to lobby President Buhari to extend the tenure of the outgoing IGP failed. The Nigerian Voice gathered that there was a serious pressure on President Buhari to allow Idris go on retirement instead of extension of his tenure. The new IGP is a world class police officer who worked at the Interpol Headquarters in Lyon, France. Remarkebly, his brilliance and performance made him the first African Director at the Interpol Headquarters during his secondment years at the Institution. He speaks fluent French language and hails from Nasarawa State. Upon his return to Nigeria in 2009 from the International assignment, he was promoted to the rank of a Deputy Commissioner of Police and subsequently took charge of the Force Peace Keeping office. He is credited to sanitizing ad standardizing the peace keeping activities of the Nigerian Police.